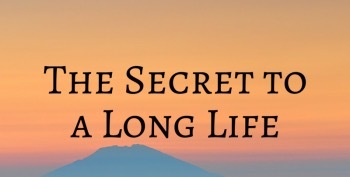 People everywhere want to know the secret to long life. Solomon was the founder of the long life scheme, God giving him long life as a result of his asking for wisdom. The secret is found in the very thing Solomon asked of God…wisdom. In Solomon’s book of Proverbs, he writes to his children over and over about the value of instruction, guidance, and wisdom. Proverbs 23:23 says, “Buy the truth, and do not sell it, also wisdom and instruction and understanding.” Solomon details the value of wisdom in Proverbs, but he also tells his children how to obtain this valuable blessing. “My son, do not forget my teaching, but let your heart keep my commandments, for length of days and years of life and peace they will add to you,” (Proverbs 3:1). Here Solomon introduces a foundational truth to those who would be wise: listen to your parents and you will have a long, peaceful life. The idea that long life directly correlates with obeying one’s parents is a natural law. A natural law is nothing more than an observable truth born out in nature. The fact that children obeying their parents will result in a long, peaceful life is evidenced by children who disobey their parents, go out drinking with their friends, followed by driving a car, ending with perishing from a traumatic motor vehicle crash. This may not happen in every single incident a child disobeys their parents, but it is an observable fact that disobedient children have fewer days and a more troublesome way in life. This precept is repeated by the Holy Spirit in the New Testament scriptures by the hand of Paul. Ephesians 6:1-3 says, “Children, obey your parents in the Lord, for this is right. Honor your father and mother which is the first commandment with promise: that it may be well with you and you may live long on the earth.” Three key principles are listed here: honor, obedience in the Lord, and a promise. Honor means to value and respect (Strong’s Dictionary). If a child values and respects their parents, they will undoubtedly obey their parent’s commands. However, Paul emphasizes obedience “in the Lord.” In the drunk driving incidence above, if the child had obeyed his parents, he would not have been drinking and driving at the same time. Then again, if he had parents instructing him “in the Lord” (according to the Lord’s instruction) he would not have been drinking in the first place. Finally, Paul repeats the same natural law that Solomon laid out: respect for parents equals long life and peace of days. If you are a young person reading this, know that your parents are smarter than you give them credit. God knows this to be true as well. That is why God, through the prophets, teaches children everywhere to honor and obey their parents. After all, if you don’t obey your earthly father, how much more your heavenly Father? Carl Johnson has been holding us a meeting at Marietta and he has done some excellent preaching. Carl is a regular contributor to the OldPaths Advocate, writing a column called, The Back Page. If you are not a subscriber to the Old Paths Advocate this is a sample of what you are missing. Please consider subscribing to the paper. The price is 15.00 per year and you can subscribe at http://www.oldpathsadvocate.org. In the most recent issue of The Christian Chronicle, “an international newspaper for Churches of Christ,” chief correspondent Bobby Ross gives us a glimpse of a movement going on among our “cups and classes” brethren concerning the planting of new congregations (June 2016). Convinced that a traditional evangelistic approach no longer reaches lost souls, ePIC Church in Torrance, California, will no longer meet for worship in a building with wooden pews, but will be conducting services in a movie theater in one of America’s largest shopping malls beginning in August. After services, church members will head straight from the AMC theater to a food court “ filled with lost souls.” one member implies his multiple tattoos will actually be an asset as he tries to initiate religious conversations with diners. In view of the above logic, churches associated with EPIC Church have decided to continue to observe the practice of baptism and the weekly lord’s Supper, but apparently everything else is up for grabs. They no longer call themselves “Churches of Christ,” they allow women to lead prayer and read scriptures in the public assembly, and 60 percent of the associated congregations use instrumental music in worship services. Vogt argues that the church needs to make even GREATER CHANGES than these if it is going to engage our modern culture successfully. The willingness of church planters to compromise almost everything Churches of Christ have practiced for centuries reminds me of the spirit of the church in Pergamos (rev. 2: 12-17). Jesus directs some of His harshest words toward the sin of compromise found in the Pergamos church embodied in the doctrines of Balaam and the nicolaitans. Both doctrines were efforts to adjust Christianity to the level of the world rather than lift the world to the level of Christianity. They taught the people to go along in order to get along, in short, to compromise. However, Jesus says he “hates” the doctrine (2:15), and the scriptures warn us repeatedly against it (2 Cor. 6:17; rom. 12:2; 2 Tim. 2:19). The members of EPIC Church may think their approach is new, exciting, and relevant, but in reality it is more of the same old, same old. in 1993 John McAuthur wrote a scathing expose of a similar philosophy within the “evangelical” churches. He says, “Church growth experts have concluded that the priorities of the early church-the apostles’ doctrine, fellowship, breaking of bread, and prayers (Acts 2:42)-do not seem to work any more … Preaching is being discarded or downplayed in favor of newer means, such as drama, dance, comedy, variety, side-show histrionics, pop psychology, and other entertainment forms. The new methods are supposedly more effective-that is, they draw a bigger crowd. Since for many the chief criterion for gauging the success of a church has become attendance gures, whatever pulls in the most people is accepted without critical analysis as good” (Ashamed of the Gospel xiii). If you buy into EPIC Church’s philosophy you will be forced, as Ted Vogt says, to reevaluate your church with the arrival of each new generation and eliminate any practice you decide is no longer relevant. That conclusion is necessary because what appears to be relevant to our culture today will be out-of-date tomorrow. That is one of the problems with culture-it is transitory. Christ, however, is the same yesterday, today, and forever (Heb. 13:8), and the church is an eternal kingdom (Dan. 2:44). Therefore, God never intended the church to be reinvented and conformed to the cultural demands of each succeeding generation. The Apostle Paul says, “And be not conformed to this world: but be ye transformed by the renewing of your mind, that ye may prove what is that good, and acceptable, and perfect, will of God” (rom. 12:2). God never intended for us to adapt the church to re ect the culture, but rather He intends for people of the culture to be adapted into the image of His dear son (Rom. 8:29). 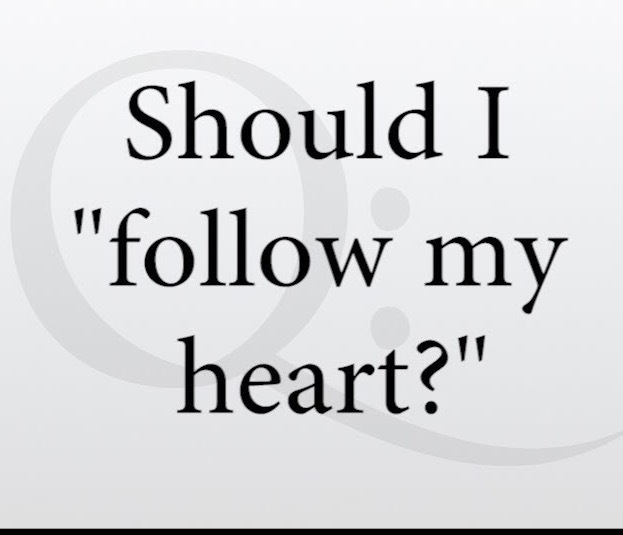 There are few phrases that society has embraced like the phrase “follow your heart”. It is a statement that is found in numerous stories, movies, songs, and often used as the answer to some of life’s toughest question. In truth, those who stand by this phrase believe that the heart is a compass that will guide you to your own true north and true happiness if only you would have the courage to follow it, as it is believed “your heart will never lead you astray”. How beautiful and liberating this is, the problem, none of these quips are biblically supportable. In fact, instead of trusting our hearts, we are to “Trust in the Lord with all your heart and lean not on your own understanding; in all your ways submit to him, and he will make your paths straight” (Proverbs 3:5–6). Instead of following our hearts we are to give our trust to the Lord with the promise of guidance to those who choose to follow Him. When we search for direction in life our compass must be based on The Truth and the Light (John 17:17; Psalms 119:105). But if man still chooses to reject this truth God says “He who trusts in his own heart is a fool. . .” (Prov. 28:26) because, “The heart is deceitful above all things, and desperately wicked who can know it” (Jeremiah 17:19)? God makes clear two reasons why no one should bind himself to following his heart, it is deceitful and it is wicked. It doesn’t take much to see that the heart is not leadership material. But the heart has an opportunity to be good and wise, if it is willing to “receive commands” (Prov. 10:8). A person’s life is a reflection of his heart. Proverbs 4:23 states it like this: “Keep your heart with all diligence, for out of it spring the issues of life.” therefore, we must guard our hearts and watch over them so that our heart follows hard after the things of God. If we first humble ourselves before God, if we can put our ego to the side, our heart can become of great benefit. In the sight of God a heart that is humble and pure is a blessing (Matthew 5:8), and it is this same heart that when humbled before God is where we keep His word (Prov. 7:3). The heart has endless possibility of good, but only when humbled before God will the Church and the Christian flourish. The heart, like any coin, has two sides but unlike a coin the outcome of which side our heart is on is not left up to chance. We have to make the decision whether to serve God, or to place ourselves as idols above God, a decision we get wrong every day. Man continues to try and keep God out of the picture but they fail to realize that pretending to be independent from God leads people down a path of their own ideas of happiness, success, and fulfillment. But King Solomon who went down this road further than most said at the end of it all “I hated life” (Eccl. 2:17). Be careful who you choose to follow, your eternal happiness and salvation depends upon the choice you now make.